Developer Quote: "You are the ocean. Touch the sea with your fingers and guide jellyfish through a roguelike underwater world in Jelly Reef." Most of us long for warm, sunny days when we can dip in the refreshing ocean and float away our cares. 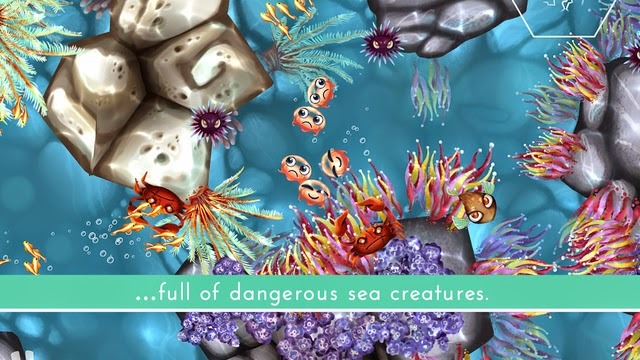 In Jelly Reef, you get to play in this colorful ocean with jellyfish. (Warning: in reality, you must never touch a jellyfish). 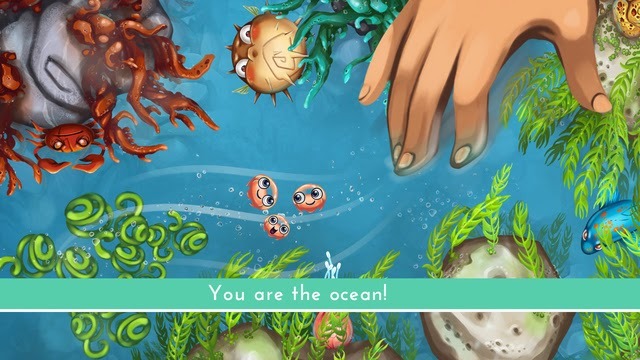 However, for the purposes of this game, you must chart a path to the depths of the ocean, trying to keep your jellyfish together and survive all the dangers ahead. Each level connects to another, but there is no easy way to reach the end. Change the direction of the sea currents and lead the jellyfish to safety. 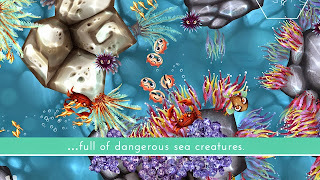 The colorful, relaxing swirls of the ocean and sea creatures are truly enjoyable in Jelly Reef.